We wanted to help the daycares to look more lively and appealing to the children and community. 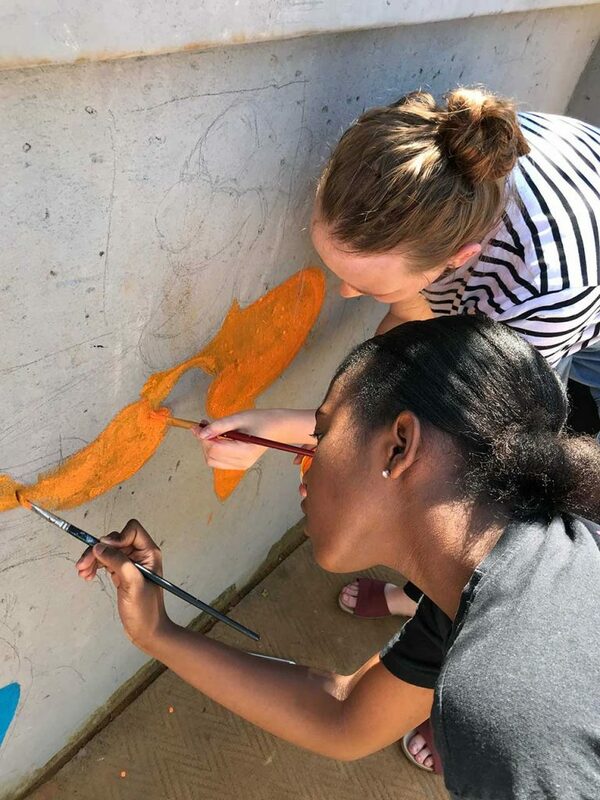 Therefore, we initiated a Wall Drawing and Painting Project, which has already started and will continue until the end of April. Many daycare owners in the Phomolong and Mahube areas have signed up to take advantage of our free service. The successful candidates will receive up to R500 of donated paint and materials which goes towards the project. 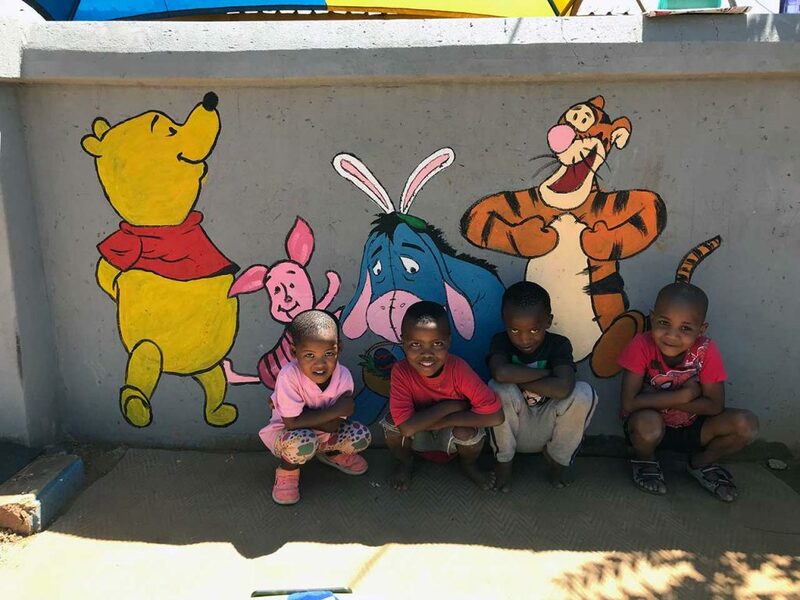 Special thanks to the students from the University of Pretoria Fine Arts Department for their generous volunteering of their time and skills. Their testimonies are encouraging and uplifting to the community. The daycare owners are exceptionally grateful for our support.